GIC is a NEW ZEALAND based company, established early 2002. Together with our AUSTRALIAN company GRAND INTERNATIONAL CONCERTS PTY LIMITED, We promote and manage live touring concerts and events throughout AUSTRALASIA. We are comitted to presenting the highest quality and prestigious attracrions. Presenting their spectaculAr masterpiece "Sleeping beauty"
The Moscow Ballet of Classical Choreography - “La Classique” was founded in 1990 by its current director Elik Melikov, utilising ballet dancers from the leading theatres of the CIS Countries and the Bolshoi, Kirov and Ballet Theatres of Kiev, Odessa, Tbilisi, Perm and etc. 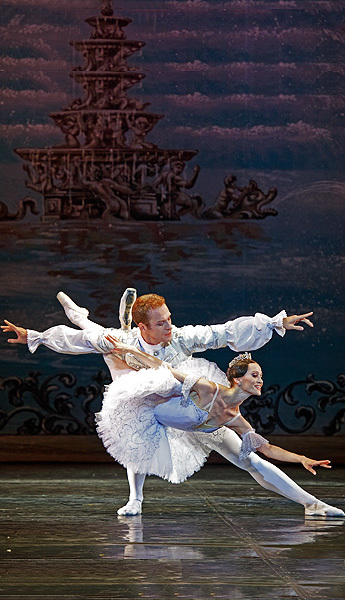 The following ballets were staged and are now in the repertoire of the theatre. The prominent choreographers were working at the theatre. They are: N.Ryzhenko, V.Kovtun, N.Dolgushin, V.Litvinov, Serge Manguette (Italy). The following coachers trained the dancers of the company: N.Zolotova, A.Prokofyev, B.Rakhmanin, L.Semenyaka, A.Kulayeva, L.Guseva, V.Koshelev , etc. The following ballet-stars have been dancing with the company: N.Pavlova, L.Kunakova, A.Bogatyryov, L.Semenyaka, N.Yeryominko, A.Mikhalchenko, N.Semizorova, M.Peretokin, I.Pyatkina, R.Pronin and etc. Recently world-renowned soloists: Evgenia Novikova, Dmitry Smirnov, Albina Dmitrieva-Honoured dancer of Russia, Igor Stetsiour-Mova-Honoured Dancer of Russia, Iana Kazantseva- Honoured Dancer of Russia, Denis Pivovarov, Andrey Laypin and others lead the Moscow Ballet “La Classique”.